Thanks for hosting this awesome giveaway! 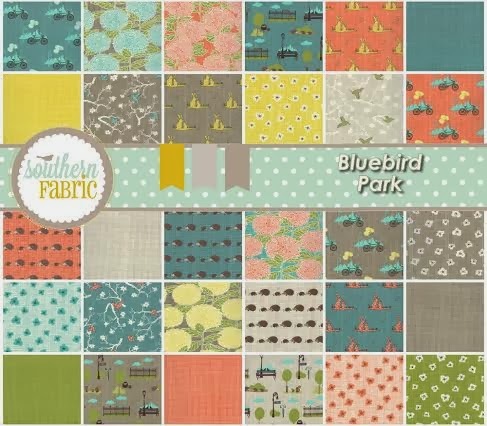 I love the Free Spirit scrap bundle that Southern Fabric offers. I love Joel Dewberry True Colors. I would get some gypsy caravan. I follow via Bloglovin'. Thanks for the chance to win, Kelly! I would get the Apple Jack - Fat Quarter Bundle (8) by Tim Beck! I like the Scrumptious collection. Thanks for the giveaway. I am a happy follower via bloglovin. I need a backing for a quilt using Road 15 fabric. That gift certificate would come in real handy! I'd blow the whole thing on True Colors! 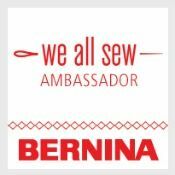 I follow via BlogLovin! Thanks for the chance! I'm thinking some Bluebird Park. I love those hedgehogs! Icicle kisses is beautiful! Thanks for a great giveaway! I need to get some Joel Dewberry True Colors! I would use the gift card towards Mid Winter Reds, probably a jelly roll! Simply Color is one of my favorites! I love the Noteworthy FQB and would use the gift certificate for that. Thanks! I'd get some Aspen Frost!! I would definitely get True Colors! Love it! Oh! 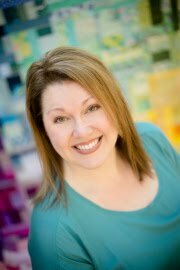 I would have to opt for a fat quarter bindle of Amy Butler Soul Blossoms in the Joy color way. Sigh. . . I seem to have ended up here at your blog several times lately, :) so I am now a follower with Bloglovin'. You know I love your blog, and I would spend the money on more Road 15 fabrics (I love them!). I've had my eye on bluebird Park. So sweet. True colors! No doubt! Thanks for the giveaway and congrats on the new sponsor! I love that true colors collection, but I'm still crushing on the Road 15 fabrics. Curse my fabric spending freeze so we can do holiday stuff! Fingers crossed! I would like to get a layer cake of Midwinter Reds. I love how you keep getting new sponsors! I think I'd get a Noteworthy FQ Bundle. Thanks. I'd hit up the clearance section and go wild! I would probably use it for either Scrumptious or Marmalade. Love Bonnie and Camille. Thanks! Since I have too much fabric already, I would buy some patterns. Maybe Fireworks and Swoon to start off! I've always wanted to get my hands on Noteworthy!! Thanks for the chance! There is some gorgeous fabric there. I think I'd get the Harvest Moon assortment, by Kansas Troubles. The family tree line by deb strain is cute and interesting. Then again, I do like family history. 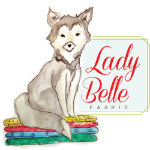 They have so many fabulous fabrics over at Southern Fabric! Its too hard to choose! I will say that she has some older Joel Dewberry that I have been wanting since it came out…but never got. I think that is where my spending would go, and perhaps a few other fabrics here and there that would look awesome with those hard to find fabrics. Also as a follower --> 2) I would love some of those Happy Go Lucky Low volume prints! thanks so much for the giveaway y'all! I love True Colors, Little Matryoshka and Cuzco Charm Packs. I'd get a Bluebird Park FQ bundle. Thanks for the giveaway Kelly! I just found out I have a 4 1/2 month old granddaughter - my first among three grandsons. So I think I'd order some pink fabric for a quilt - maybe something from the Kumari Garden line. Thanks for the great giveaway. Noteworthy Layer Cake! Love it! 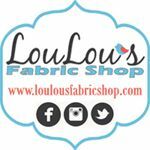 I follow you by email and Southern Fabrics on Facebook. I follow you through my email. OH how exciting! I would choose honey honey layer cake from Kate spain! What a great giveaway! I'd love to have the fat quarter bundle of Bluebird Park. $25 would help toward that!! I follow you and get email updates. I might get some Bluebird Park, or S'more Love or Wrens & Friends -- there are a lot of lovely fabrics to choose from! Thanks for the chance to win. I'm looking at Bluebird Park, so cute. I would get a bluebird park layer cake - wonderful! Ooooohhhhh, I'd be snatching up some Road 15 and Apple Jacks. You were right; just about everything I looked at was on sale! I've purchased from them before. I have been eyeing bluebird park--I have a sister in law who is an avid biker, I love all the bicycles and little critters! I just love Southern Fabrics! That pop-out tool on their shop site is fun! If I were so lucky as to win, I'd use my ticket toward some Road 15, or Joel Dewberry Heirloom (love those raspberries) or toward a bundle of Deb Strain's Give Thanks! So much to choose from! I'd probably use it on one of their great scrap bags. Thanks for the chance! I'd have trouble choosing between Aviary Saffron and Aviary Vintage Yellow. I like the family tree layer cake! I'd have to get some true colors! thanks. I'd get a bundle of that simply 15. It is gorgeous! I would get the Swoon pattern, (yes I know I am way late to the game) and I also really love the Aviary 2 fabrics. I'd get some of that Bluebird Park in a heartbeat! And I follow you by email! Thanks Kelly... I'm a follower! Oh my! 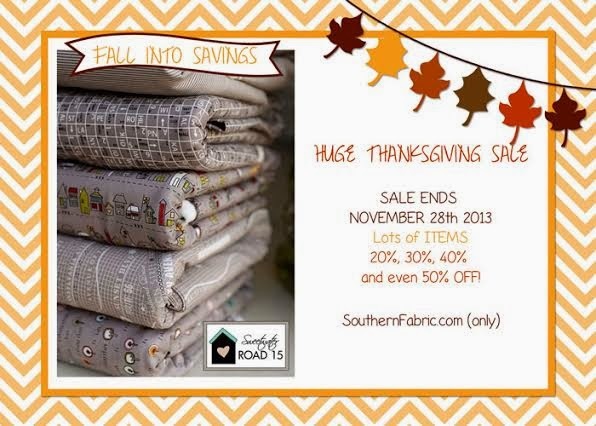 There are 5 fabrics in the 50% off section that I would love! 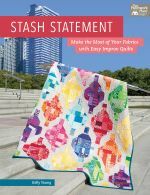 Including the fat quarter bundle by Valorie Wells... Yummy fabrics! I love the Soho Chic collection :) Thanks for the awesome giveaway! I am a follower, thanks for the chance! And True Colors is a really collection! I'd spend it all on True Colors although I'm really tempted by Potluck. I love those tape measures! Thanks for the awesome giveaway! I would get some of Potluck's ruler yardage. Thanks! if i win the gift certificate i will buy riley blakes medium dots fat qtr. love me some dots. I've had my eye on Minick and Simpson's Midwinter Reds, so I would go for some of that for sure! I would probably choose a scrap bag! I really like that road 15. I keep eyeing High Street - love it! I'd spend it all on Bluebird Park. 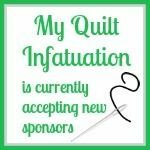 I just used mine up on a quilt and I'm craving more. Love those little hedgehogs! Oh, I would make it go far by spending it all on that awesome sale page!! Thanks for the chance to win! I'd buy fabric to fill out projects that are on the list for next year! Thanks for the chance to win! I subscribe using my rss reader. I would stock up with Scrumptious by Bonnie and Camille for Moda. I'd really love to get my hands on some High Street... and Road 15! I would spend it on Eat Your Fruits N Veggies - Jelly Roll by Pat Sloan. Thanks for the giveaway! Karavan, before it is all gone. I love the prints in Blue Bird Park. That's what I'd get first if I won a gift certificate. I'm a follower by email. Thanks for the chance to win such a great gift. I would love to get some Road 15 by Sweetwater fabric. I've had my eye on that for a while now! Such an awesome giveaway! I would get some of the scrap bags. Thanks for the chance! I am a happy follower! Thanks for the chance to win! The "Bluebird Park" is soooo cute! Kelly....you know I love following you! I would definitely get some True Colors as well as some Winter's Lance. Thanks for the awesome giveaway! I would choose some yardage from True Colors, love the Herringbone & Woodgrain prints! Thanks for the great giveaway. Bluebird Park is on my wish list!! I love the new True Colors. Thanks for the giveaway! I still need to get my hands on a Honey Honey layer cake! Thanks for the chance to win. I would get 1 or 2 Fruits and Veggies Charm Packs. They're 50% off, very cute, and I love a bargain. Then I would get a yard or so of some other fabrics that go with that, including the "Jacks" blue fabric (39514 15). What lovely fabric at that site!! I am a follower by email. I really enjoy your blog, and last week I followed your tutorial to make a bag for my tablet! I used pre-quilted fabric that I had lying around, so it was even easier!! 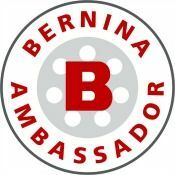 Thanks for your blog and a chance to win. So many great fabrics! 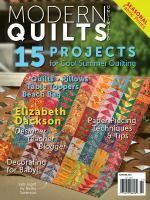 Noteworthy fat quarter bundle would be a great addition to my stash for various projects. Thanks for the giveaway! Follow you through AOL Reader. Thanks for all of the great info and inspiration! I just bought a Sunnyside Layer Cake at a great sale price! But, I'm sure I can find something else to get, I love the Joel Dewberry lines. Very cool. I would spend it on Winter's Lane. That collection is on my wish list right now! I would get some Happy go Lucky. Thanks for the chance. I follow by e-mail nvstgo@me.com. Great selections on fabric. Thanks for the giveaway! 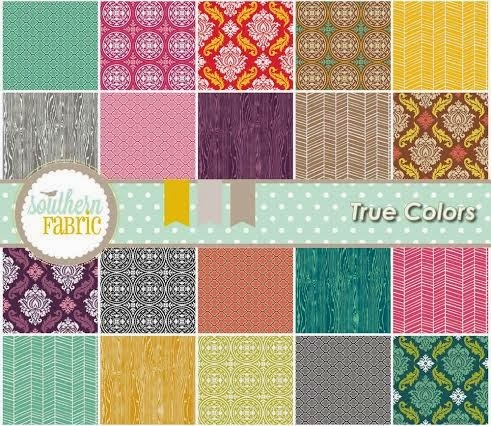 I've been loving the new True Colors fabrics too so I'd be getting my hands on some of those! I'm a follower with Bloglovin'. Thanks! They have a few PB&J precuts. I might grab one of those. Thanks!! I'd be digging into the True Color collection! Thanks for the chance to win. High Street - Daisy Foulard - Pink by Lily Ashbury for Moda. Freshcut - Peach Fat Quarter by Heather Bailey is so cute! I would jump on their Huge Thanksgiving Sale. I'm wanting some True Colors desperately. Thanks. I would go for the Scrumptious - Honey Comb! 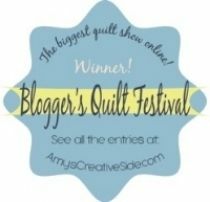 Thanks for the chance to win, Kelly and Southern Fabric!